Some home buyers have buying regrets. Here are the top 5. 1. Buying too big of a home. Buyers may think at the time having a big home is what they want, but after moving in, they may later regret the expense and upkeep of maintaining a big home. Cooling and heating bills can be much higher and just cleaning the place can become a much bigger chore. Also if the room size is big, buyers may find their furniture a mismatch and too small. Buyers – bring a tape measure to verify that your furniture would work in the space and also consider the utility bills plus the cost of renos and upgrades for a larger house and yard. 2. Awkward layouts. The kitchen island is often a desirable amenity among home buyers – it can add prep space, after all. But kitchen islands can be a mistake if you don’t take your ‘work triangle’ into account (fridge, stove and sink placements). Buyers should walk around the kitchen and consider their usual prepping and cooking patterns. 3. Not considering what’s missing. Architects and remodelers sometimes will remove something from a room to give it a more modern, cleaner feel. For example, there is a trend to eliminate the bathtub in favor of just a shower. Some home owners regret that decision because sometimes they find themselves wishing for a nice long soak after a tough day. 4. Pools. For some home buyers, the pool can become a selling-point that later turns into a source of regret. Pools can be costly and some buyers may fail to consider the all of the additional costs. For example, there’s regularly monthly maintenance and cleaning as well as pools in seasonal areas often are opened and closed by a professional. 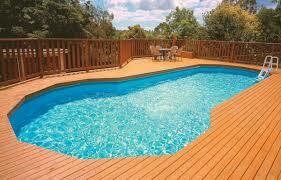 It can cost upward of $600 just to open a pool and prepare it for swimmers. 5. Falling for fads. Today’s popular stainless steel appliances, steel countertops and Edison bulb light fixtures are yesterday’s saloon doors, linoleum and brass hardware. If you buy a house just for its trendy look, you may end up regretting it when the styles change, especially if you have to sell the outdated design. Buyers should look for timeless features – classic, well-designed homes. Pay a little attention to your home and garden while the days are still enjoyable to ensure that your family is ready for winter weather. Clean up, cover up and winterize are the keys to inside and outside weatherproofing. Lose the mentality that fallen leaves are nothing but a nuisance involving hours of raking and bagging. Have a garden? Spread the leaves over the soil so the worms can work their fertilizer magic. Mound them under shrubs and trees for additional winter root insulation. Wrap newly planted shrubs and trees with burlap to protect them from the harsh elements and the drying winter sun and wind. Once most of fall’s leaves are down, give gutters and eaves troughs a thorough cleaning to prevent water and ice build-up. Planting spring bulbs in the garden now will ensure a riot of floral colour pops out of the ground come the spring. Bulbs can be planted right up until the ground freezes. Fireplaces are cozy and cost efficient. Wood burning fireplaces, require annual maintenance. Hire a professional to clean and inspect fireplaces, dampers and chimneys. Before turning on the furnace call the professionals to clean and inspect it. Furnace filters should be changed every couple of months so keep a stockpile of them handy. Have your home’s heating ducts cleaned to ensure optimal air and heat flow. Button up the hatches and keep the chill out by inspecting windows and doors for drafts. Replace old and rotting weather-stripping around the frames to prevent heat loss and water leaks.